Autostick gives drivers with automatic transmissions the feel of a manual car. It allows the driver to upshift and downshift for extra control. Vehicles with a standard (manual) transmission now account for only 1 in 10 new cars manufactured. That’s a major shift from when nearly half the cars on the road were equipped with standard transmissions. Driving a car with a standard or manual transmission provides a sportier, more driver-focused feel but with modern transmissions becoming just as efficient and responsive, standard vehicles are less in demand. The need for driver input can still be satisfied in many automatic cars through Autostick. Often thought of as a clutchless standard transmission, an automatic transmission with Autostick allows the driver to select when the transmission upshifts and downshifts in times when they want the extra control. All other times, the car can be driven as a run-of-the-mill automatic. Here’s how to use Autostick to upshift and downshift in most vehicles. Before you can shift your transmission using Autostick, you need to be able to get into Autostick mode. Step 1: Locate Autostick on your gear shift. You can tell where it is because of the plus/minus (+/-) on it. Not all vehicles have Autostick. If yours doesn’t have the +/- on the shifter, your transmission may not have that mode. 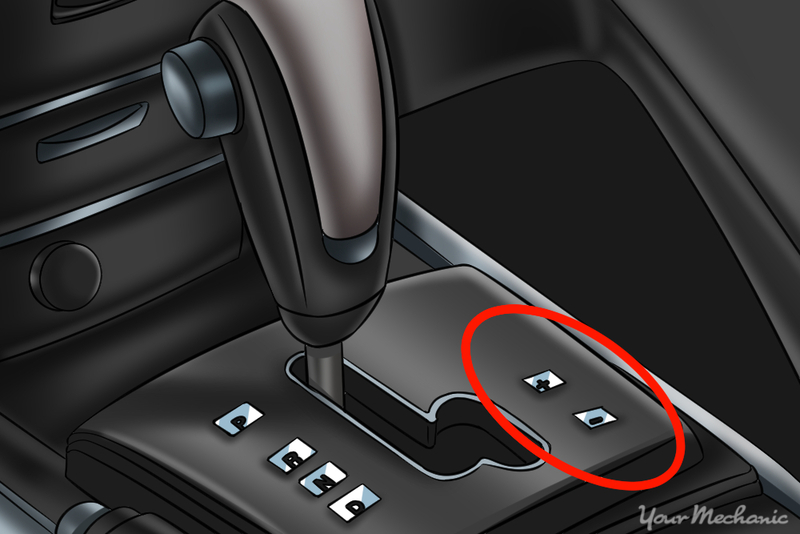 Note: Some vehicles with a column shifter also have Autostick, noted with a +/- on the column lever. 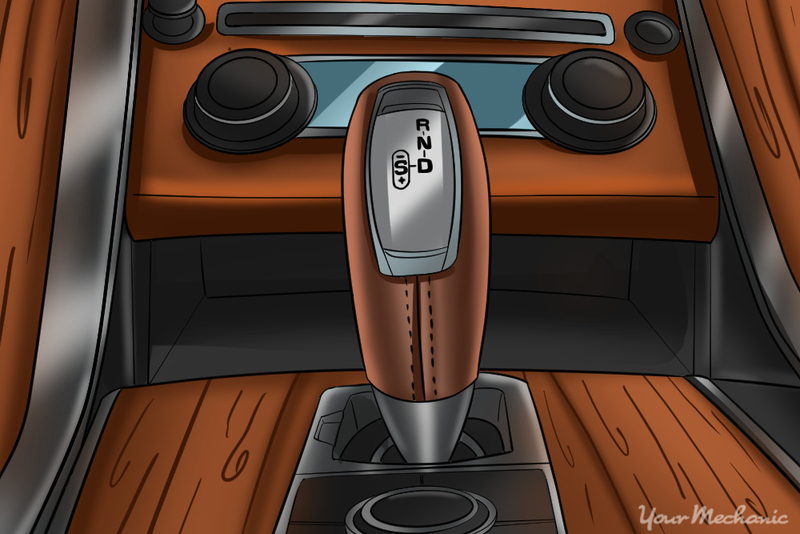 It’s used in the same way as a console shifter except with a button press instead of a lever movement. If you can’t locate the Autostick function, check your owner’s manual or call your manufacturer’s help line for information on where to find it. 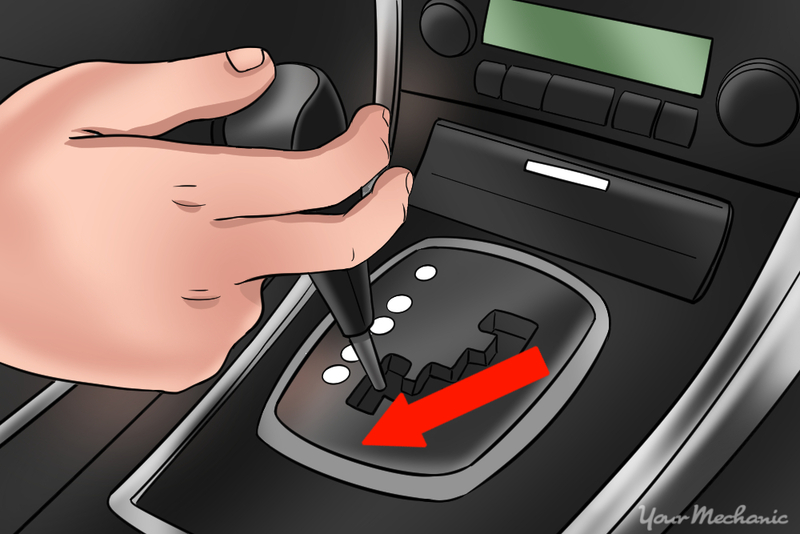 Step 2: Shift your transmission into Autostick mode. Press on the brake first, then shift to drive, then slide the shifter into Autostick. Autostick only functions in Drive, not in reverse, and there typically isn’t a neutral position in Autostick. Tip: Treat every movement while in Autostick with the same care as when your car is in drive gear. Autostick is most commonly located to the left or right of the drive location on your gear shifter and just needs to be gently pulled in that direction once your shifter in in drive. Some makes are directly below drive gear as well and just need to be pulled back past drive. Step 3: Shift out of Autostick. When you are done using Autostick, you can simply pull the shifter back into the drive location and the transmission will operate as a full automatic again. Once you’re in Autostick, shifting up through the gears is an easy motion. Here’s how to do it. 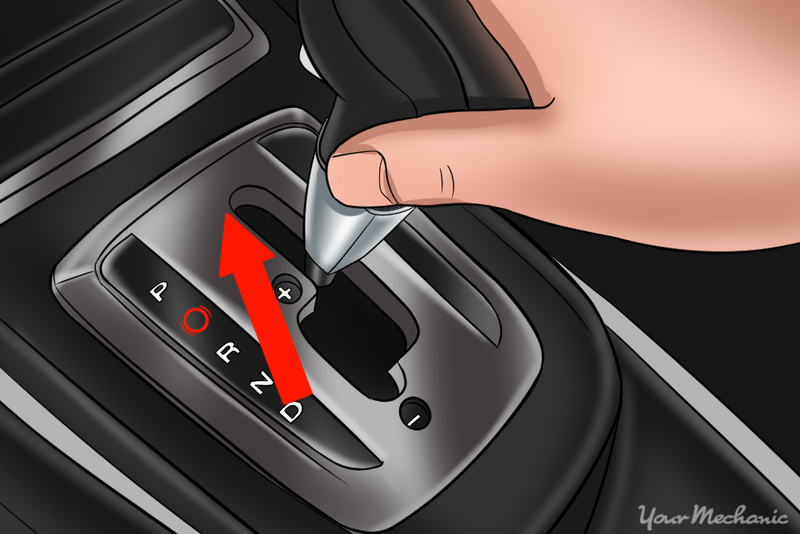 Step 1: If you’re starting from a stop, your Autostick will start out in first gear. You’ll be able to tell on your instrument cluster. Where you normally see a “D” for drive, you’ll see “1” indicating first gear of Autostick mode. Step 2: Accelerate away from a stop. You’ll notice the engine revs up higher than normal as you accelerate while it waits for your input to shift. 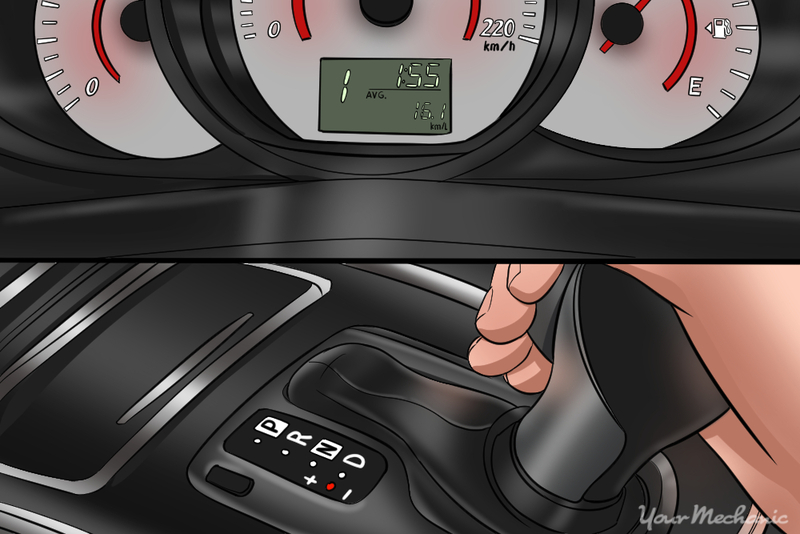 Step 3: When you get around 2,500 to 3,000 RPM, tap the shift lever toward the plus (+) icon. This tells the transmission to shift to the next highest gear. If you want to drive more aggressively, you can rev your engine higher before shifting to the next gear. Warning: Don’t rev your engine up to the red line or severe engine damage can result. Step 4: Shift up through the rest of gears in the same fashion. Your can shift at lower RPMs once you’re in the higher gears. Some vehicles with Autostick have four gears while some have six or more. If you don’t know how many gears you have, you can find out by tapping the shifter towards the + several times while you’re driving at highway speed. When the number doesn’t go any higher, that’s how many gears you have. Many manufacturers use some variation of Autostick in their vehicles. On some makes, the transmission will automatically shift up if you wait too long to tap the shifter when you’re at red line. It’s a safeguard some vehicles have, but not all. Don’t rely on this feature to prevent engine damage on your vehicle. When you’re using Autostick, you’ll eventually need to slow down. Here’s how to use Autostick while you’re decelerating. Step 1: With Autostick engaged, begin decelerating. The process is the same whether you apply the brake or coast to a lower speed. As your speed drops, so do your RPMs. Step 2: When your RPMs drop to 1,200 to 1,500, tap the shifter to the minus(-) position. The engine speed will increase and on some vehicles you might feel a slight bump as the transmission shifts. You’re now in a lower gear. Note: Most Autostick transmission will only shift to a lower gear when it’s safe for the transmission to do so. It will prevent downshifts that spike the RPMs into a dangerous zone. Step 3: Downshift for towing or decreasing engine stress. Autostick is commonly used when driving through mountains and valleys to decrease the strain on the transmission and engine. Lower gears are engaged for engine braking on steep descents and for more torque and less engine strain on steep ascents. When you use Autostick, your transmission is not operating at its peak efficiency. Your best fuel economy and overall power occurs when you have your transmission strictly in drive gear. Autostick has its place, though, providing a sporty, fun driving experience and more control in steep terrain.